You may be familiar with the saying ‘you are what you eat’ and although some may regard this as a figure of speech, it is very much true. What you put into your body has a profound effect on your health. Therefore, good nutrition is important and could even one day save your life. The American Cancer Society has estimated that there will be 1,735,350 new cancer cases diagnosed and 609,640 cancer deaths in the United States. Bearing that it in mind, we should highlight the link between cancer and diet. Research has suggested that factors such as your diet and lifestyle can reduce your risk of developing cancer. One study concluded that a fruit and vegetable intake above five-a-day showed a major benefit in reducing the chance of heart attack, stroke, cancer and early death. When you have a busy day, remembering to have your 5 a day can be tough. 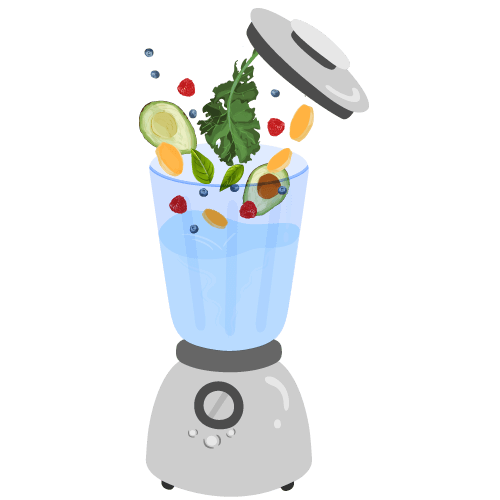 One tasty and convenient way is by making a smoothie. Smoothies are very much on trend these days; packed full of fresh fruit and vegetables they can do wonders for your body. To give yourself a health kick, add these 5 Cancer-Fighting ingredients to your morning smoothie! 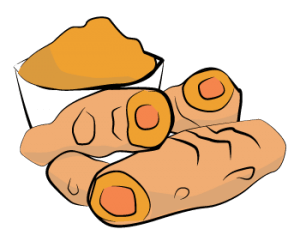 Fresh, raw turmeric is an anti-inflammatory agent and reduces the effects of COX-2, which helps reduce the rates of cancer spread throughout the body. Turmeric has an active ingredient called curcumin which prevents several forms of cancer like breast, lung, stomach, liver, and colon. Curcumin also stops the development of cancer by preventing regrowth of cancer stem cells. 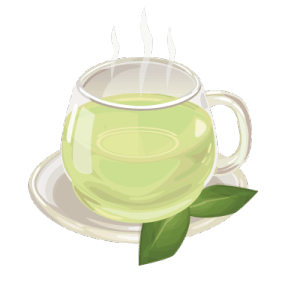 Green tea leaves contain Epigallocatechin-3-gallate (EGCG) and antioxidants which prevents the cancer cells from growing. EGCG prevents formation and growth of new blood vessels to form and grow in tumors. Because of this, EGCG prevents cancer cells from growing rapidly and spreading to other location of the body. Kale contains fiber which is rich in galactose,known to bind to damaging agents in the intestine to help flush them out of the body. 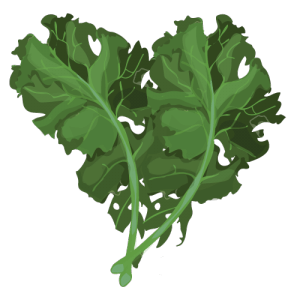 Kale is high in antioxidants, which remove free radicals from the body and helps to absorb iron and promote heart health. Glucosinolates is also abundant in kale – when glucosinolates are broken down by the body, they stimulate cell deaths in tumors. Kale also contains antibacterial and antiviral properties, inactivate carcinogens which helps make cancer cells die and prevent tumor to form and metastasis. 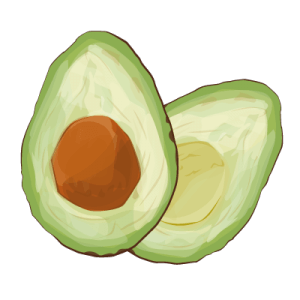 Avocado boats a range of health benefits and is antioxidant and anti-inflammatory. It also helps to ease the swelling in the gastrointestinal tract and relieves constipation and diarrhea. The seed contains flavonol, a powerful antioxidant that prevents and reduces tumor growth. 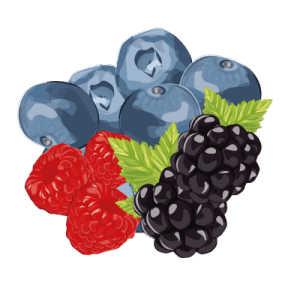 Berries are one of the highest sources of antioxidant in the world. Blueberries, raspberries, cherries, strawberries, goji berries, camu camu, and blackberries are common and utilized in various sorts of recipes which is great considering they are a great source of vitamin C, A, and gallic acid – a powerful antifungal or antiviral agent to increase immunity. Berries are rich in proanthocyanidin antioxidants which have anti-aging properties and are known to lessen free radical damage. Mulberry, camu camu and goji berries have been used as a traditional Chinese medicine to increase energy and immunity. You can’t go wrong with these cancer-fighting ingredients, so why not try adding them to your breakfast smoothies and start your day with a health kick. Ben: one question about smoothly. Do you blend the seed from the avacado. Hi Don, we have heard of some people doing this but have not tried it ourselves. Best of health, The Ben’s Natural Health Team. 9/30/18 my PSA was 5.86 (when I was 84) also I had to get up 4-5 times a night. Since then my PSA has dropped every 2 months and I only need to get up 1-2 times a night. Last report was 3/21/19 and PSA was down to 4.56! 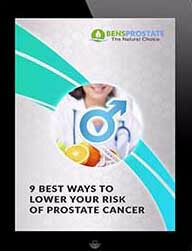 Am using Total Health and Prostate Power. Please keep up with your great products! Hi Carl, thank you for your comment! It is great to hear that you are experiencing an improvement in your symptoms and that your PSA level has lowered. Please keep us updated on your progress and if you require any assistance our team is always happy to help. Best of health, The Ben’s Natural Health Team. In 2013 I was diagnosed with Prostate cancer Gleason score 7. I went to Germany and was treated. I have used total health for the Prostate ever since and sometimes combined it with Prostate Power and Prostate Healer. Lately I have changed to Total health for the Prostate Advanced (Great product), however all of sudden my PSA has started to increase with 1 point a week, it is now 11.93 and rising. I feel fine, number of trips to the bathroom has not changed the last year ( 2 to 3 every night but no problem during the day). I admire your expertise and ask for your advise. Hi Bjarne, Good to hear from you. A rapid spike in PSA is certainly something that you should take a look at. If you aren’t experiencing any pain or discomfort, it may be that it isn’t Prostatitis. 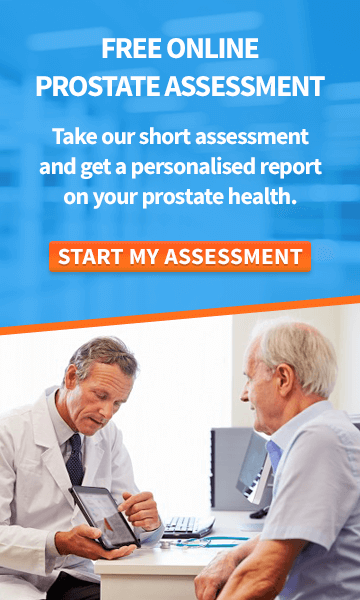 I would suggest you get a Tesla 3 MRI (sometimes known as an mpMRI – multi parametric) to get a high resolution 3D image of your prostate and confirm that there isn’t any growth you need to be concerned with. Always start by ruling out cancer, and then we can look at other causes and work out if there’s any steps we can take. If you would like to discuss this further please get in touch with [email protected] and our team will be happy to help. Since testosterone is not the cause of prostate cancer, is supplementing with t ok? Could you let me know what you’re using testosterone for, exactly? What about sour honey and how to get it? Hi Howard, when shopping for honey, always choose the darker versions like buckwheat and manuka. Raw honey is always best and if you can find locally sourced honey, you are in luck. However, it’s important to note that honey is high in sugar content and actually has a very similar effect on the body that sugar has. Peroxide Protocol, H2O2 35% Food Grade, The One Minute Miracle. Do you have any comments on this ? Hi Ira, afraid not familiar with that product but will do some research into it and get back to you. Wishing you good health. 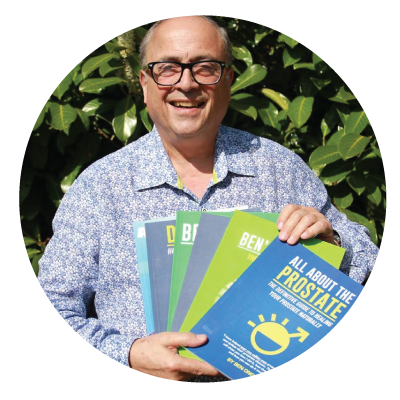 Thanks Ben for all the info about prostate health. No trouble at all Henry, I am glad you are finding the information useful. I wish you good health, Ben. of your daily intake please refresh. Hi Dean, the serving for my Krill oil is two capsules. You can learn about this product here https://www.bensnaturalhealth.co.uk/ben-s-antartican-krill-oil.html#product_tabs_product_facts. If you have any further questions please don’t hesitate to email [email protected]. Wishing you good health, Ben. Is ginger in any of the supplements ? Would you recommend adding fresh ginger daily ? Hi Robb, You just need to eat it – your body processes and absorbs the nutrients within it. Get good quality, organic ginger, put it in your food and you will see the benefits. I particularly like having it in hot water, sometimes with lemon too. I also use Ginger Root extract in Advanced Total Health for the prostate, as I’ve seen the benefits firsthand.